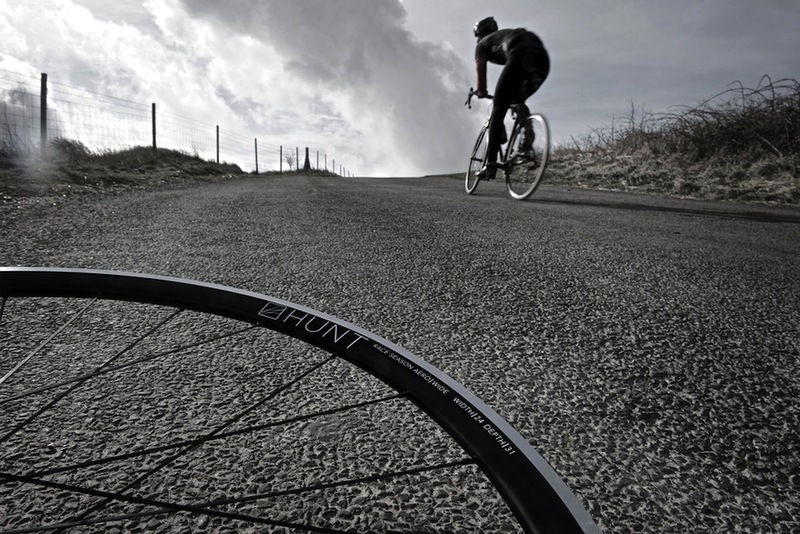 Hunt Bike Wheels is a Sussex based vendor of wheels designed to perform in UK conditions. It launched in 2015 and has been expanding its range since and is now looking for riders to test its products. Hunt’s wheelsets follow all the latest trends offering wider rims, tubeless-ready rims and disc options which are compatible with different thru axle standards as well as quick releases. The company has recently expanded into carbon rims as well as its original aluminium hoops and supplies wheelsets to Mason Progressive Cycles too. It’s also planning to launch MTB wheels later in 2016. The company is now launching its OpenDev programme and is looking for six riders to use its wheels during 2016 and give feedback which will allow it to create better products based on shared ideas. It’s keen to get blue sky thinking and constructive criticism from riders as well as feedback from testing its products in the real world. Successful applicants will be offered a set of Hunt wheels of their choice to ride, up to a value of £500. They may also be asked to test prototype wheels during the year. In addition they will receive a set of Hunt Bike Wheels cycling kit and a Giro Synthe aero helmet to match. Here’s a video of the company’s team out testing their products on the roads around Sussex. Hunt says it is not just looking for speed demons, but keen riders who race or ride on road, in sportives, in cyclocross races and on gravel/adventure road rides. It will select riders based on the type of riding which they do, their ability to test and give feedback on prototype new wheels and their potential to act as ambassadors for the brand. Hunt highlights that its wheels are used throughout the world, not just in the UK, so it will consider riders based outside the country. Applicants are asked to complete a form on-line to be considered, with a closing date on 15 February 2016 and Hunt aims to contact the six successful applicants by 15 March.